Of course, a glance in the mirror belongs to the daily care programme in the bathroom. The cosmetic mirror Assisi features a 1:1 mirror and the additional 3x magnification effect on the flip side. 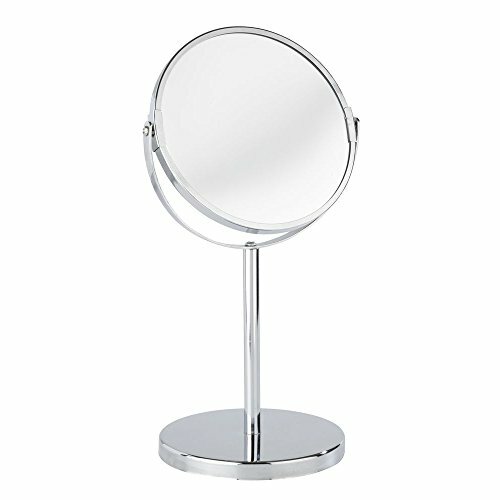 The standing mirror is particularly suitable for cosmetic use, e.g. for applying make-up and shaving. The mirror surface with a diameter of 16 cm can be tilted and folded as required. The cosmetic mirror has a base plate that ensures stability. If you have any questions about this product by WENKO, contact us by completing and submitting the form below. If you are looking for a specif part number, please include it with your message.